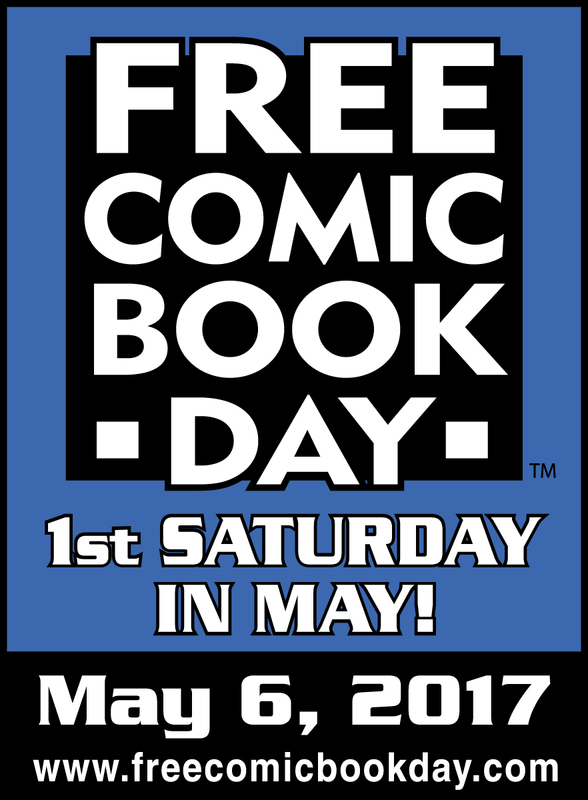 The first Saturday in May is known as Free Comic Book Day because it is the day you can visit your local comic book specialty store for….you guessed it: Free Comic Books! Started in 2002, Free Comic Book Day is an effort from the comic book industry (publishers, distributors & retailers) to help drive foot traffic into your local “brick and mortar” comic book retailer. Like other retail industry, comic book specialty stores have seen a huge chunk of their clients migrant toward online vendors. Each year, publishers apply to provide comic books at cost to retailers, who in turn give them away for free. Since this is a large expense for the retailer, not all shops participate. Here is a list of participating Comic Book Stores near you! Simply enter in your zip code. As well as offering the publisher Free Comic Book Day issues, many stores also offer free refreshments, snacks, drawings, art contest, face painting and other fun activities for children and adults. This is a program open to comic book specialty stores only, not the corner convenience store that happens to have a wire spinning comic book rack (do stores still have those?). As a former small business owner myself, I know the difficulty of competing against online retailers and how insulting it is when a customer stands in your showroom on their smartphone looking for an online dealer selling your same merchandise for less. It is important for all of us to help support our neighborhood small businesses to keep the money local, tax dollars local and help support our communities. Publishers that participate in the event include the mainstays such as Marvel, DC, IDW, Valiant and Darkhorse as well as smaller, independent publishers such as Bongo, Archie, Chapterhouse and New England Press. Famous Titles participating include Guardians of the Galaxy, Star Trek: The Next Generation, Barbie, Spider-Man, Dr. Who, Teenage Mutant Ninja Turtles, The Tick, Avatar, Spongebob, Monster High and Dragonball Z! Here is the full list of 50 issues! I wrote previously about this Star Trek: The Next Generation free issue involving the Mirror Universe! Really looking forward to this one! Previous Did George Lucas Write Horrible Dialogue For Star Wars: Attack Of The Clones On Purpose?